BG Products, Inc. manufactures automotive fuel and oil conditioners, specialty chemicals, greases, tools and equipment. Based in Wichita, Kansas, the company manufactures and ships its automotive products to a worldwide network of distributors who then distribute to automotive dealerships, franchises, and independent shops. 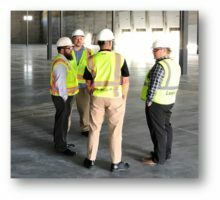 With aggressive future growth projections, BG’s existing 50,000-square-foot distribution centre (DC) couldn’t accommodate efficient material flow to support the impending volume. • Finished good kitting functions were performed off-site due to lack of space and capacity in the current facility. • Manual activities and multiple touchpoints slowed processes. • The DC’s racking didn’t support the SKU profile. • The facility’s design conflicted with a picking strategy for optimal productivity. • Poor traffic flow inhibited pallet-building. Leancor was chosen for its people-oriented approach. Weary of stereotypical “pushy” consultant approaches, BG sought a supply chain partner that could teach the engineering and thinking behind logistics excellence in order to build capabilities within its own teams. 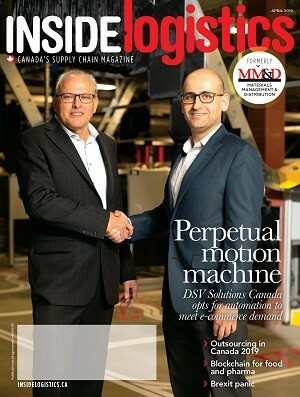 After being introduced by consulting firm Valentine Solutions, BG partnered with supply chain and transportation management company, LeanCor Supply Chain Group, for its practical, people-oriented approach. The project began with a DC assessment of several key distribution process including: manufacturing transfer, receiving, inspection, put-away, storage, inventory control, order processing, packing, staging, and shipping functions. “After mapping the existing overall distribution process, we observed that the warehouse management system (WMS) was driving inefficient part presentation,” said Brent Cable, senior supply chain engineer at LeanCor. LeanCor also recommended that the client convert to an efficiently designed 120,000-sq-ft DC that would enable productivity improvements and support an effective inventory management system. This would also enable the kitting function to be moved back into the distribution centre. Together, LeanCor and BG designed the new DC with a layout and processes based on the following operating principles: Safety; stability; standardization; visibility; quality at the source; material flow; teamwork collaboration; continuous improvement. 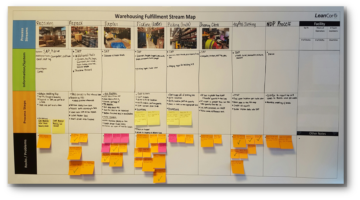 A new warehouse management system (WMS) would drive replenishment to support a strategically designed picking process. Changing from pushback storage to selective racking would align the picking strategy with the SKU profile and yield a payback period of three years on racking material costs. Instead of using sit-down forklifts for most activities, BG could use reach trucks for its put-away, bulk picking, and replenishment functions. Centre riders could be used for case picking. “These improvements will yield significant cost and performance results for BG,” said Derek Browning, consulting director at LeanCor. “Working with LeanCor for several years has been outstanding, said Jeremy Henry, director of operations at BG Products. In the next phase of the BG-LeanCor partnership, the companies will work together to develop an RFP evaluation process for procuring pick modules and selective racking.